Embarcadero has announced a world tour to promote its forthcoming XE3 development suite. A new tool called HTML5 Builder. There are a few more clues in a leaked PDF document on what is new in Delphi and C++ Builder XE3. 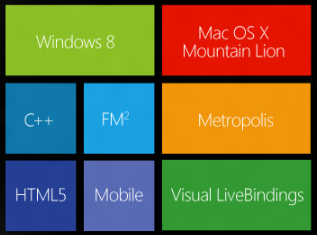 This refers to “full support of the Windows 8 Metro user interface” and describes new project wizards for “VCL Metro Desktop Application” and “FireMonkey Metro Desktop Application”. Since “Desktop” normally means non-Metro in a Windows 8 context, this phrase is puzzling, making me wonder if the tool will build apps that look and feel like Windows Runtime apps, but really are not. That would be unsatisfactory, because features like Contracts and Live Tiles only work with real Windows Runtime apps. Or is Embarcadero is planning full Metro support and is distinguishing from mobile apps. There are also changes in FireMonkey to add support for Actions, Anchors, and Layout managers. 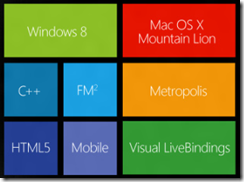 Sensor and gesture support will be important for Windows 8 apps. Finally there will be a SQLite database driver in XE3. All the above, save the tour announcement, is unofficial and may be wrong or subject to change. I doubt the Metro name will feature so prominently in the eventual release, for example. And Metropolis? Otherwise, why would Embarcadero state “WinRT” for Prism but not for Delphi and C++ Builder? 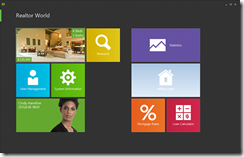 DevExpress has released an update to its VCL component suite, version 12.1, which includes a Metro-inspired tile control. That is, it looks like a Windows 8 Metro-style application, but in reality it runs as a desktop application. The VCL components support Embarcardero’s Delphi and C++ Builder, but not the FireMonkey library that runs cross-platform. The new release also adds a “Server Mode” for the ExpressQuantumGrid grid control, which retrieves only those rows needed to populate the current view. 12.1 will be the last version to support Delphi and C++Builder 2010. I will sound a further note of caution: it’s likely that in 2013 we shall drop support for Delphi 7 and Delphi 2007 (what you might call the “ASCII IDEs”), so that we can concentrate on the latest run-times and environments. Delphi 7 is significant because it was the last version to use its own dedicated IDE built with Delphi itself, and by today’s standards is delightfully small and fast. I’m going to say we shall treat it with kid gloves. Re-engineering a compiler so fundamentally says “breaking changes” to me, especially given the necessary extensions that are present in the current C++Builder to interface with Delphi. So, fair warning: if the changes are too severe, we shall not support 64-bit C++Builder in 12.2. It took us long enough to support 64-bit Delphi across our entire product line, and this year we don’t have the resources. That doesn’t mean we won’t ever do this (after all, Embarcadero are saying that they’ll switch completely to Clang/LVVM at some point), just that we won’t this year. Returning to the Tile Control: it will be fascinating to see if this sort of approach, mimicking Metro with a desktop app, becomes popular. Microsoft is promising some of the same with Office 15, though we have not seen much of this officially yet. 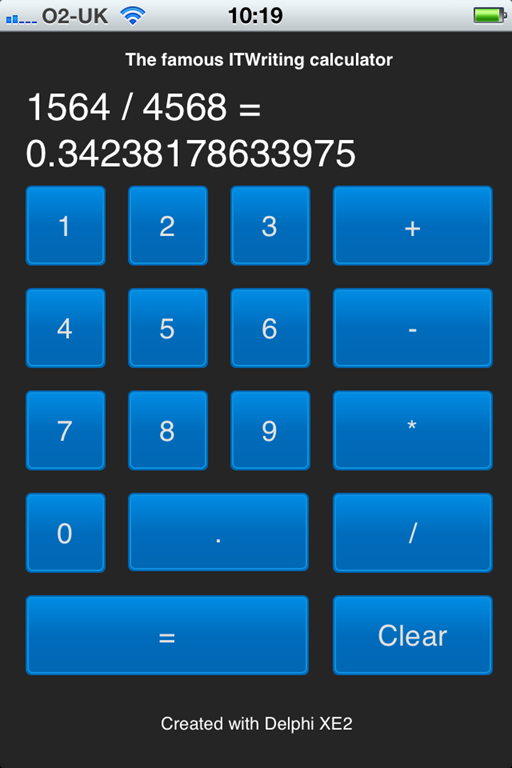 The advantage is that you can make desktop apps just as touch-friendly as Metro apps. The disadvantage is that you do not get Windows Store support, Contracts, app isolation, or other benefits of the Windows Runtime which underlies the Metro side. Users may be confused. I doubt Microsoft will mind though. 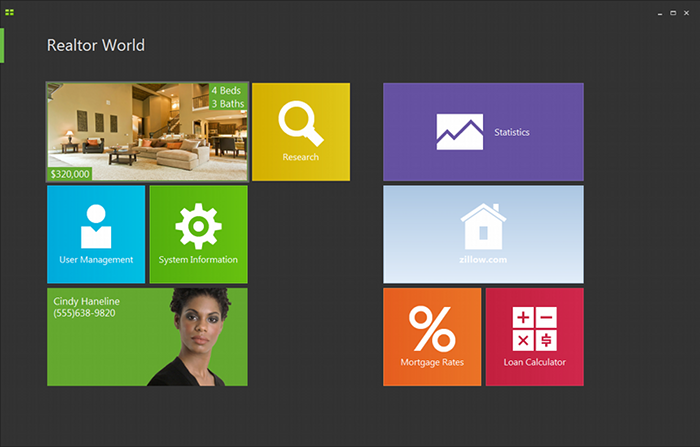 It all helps to promote the Metro style which is the distinctive feature of Windows 8. Delphi team focusing on FireMonkey, VCL winding down? Julian Bucknall at componnent vendor DevExpress writes a thoughtful post arguing that Embarcadero will focus on Delphi’s new cross-platform FireMonkey framework in future, and that the VCL (Visual Component Library) which has been at the heart of Delphi since its first release will receive little future investment. Bucknall notes that ex-Borland employee Danny Thorpe tweeted about 1/3 of the Delphi VCL and IDE team being laid off in Scotts Valley, USA; while Embarcadero’s Tony De La Lama blogs about new posts in Europe. FireMonkey was originally developed in Russia. The VCL is a mature framework by any standards (Delphi was first released in 1995), and now that the 64-bit VCL has been released the most pressing demands of developers have been met. Further, Microsoft itself is slowing development of the Win32 API on which VCL is based, in favour of the mobile and touch-friendly Metro user interface and the new Windows Runtime on which it is built. The VCL will never adapt to Metro, but FireMonkey might do so. The Windows Runtime has an API which is represented by metadata in same format used by .NET’s Ildasm. If Embarcadero can adapt Delphi to read this metadata so that you can easily call the API, then a Delphi for Metro seems plausible, but it would not use the VCL. Delphi already works well for Windows applications, so from Embarcadero’s point of view, growth will come from cross-platform and mobile development using FireMonkey. The main snag is that unlike the VCL, FireMonkey is far from mature, and developers are complaining about lack of documentation as well as limitations in the current implementation. There is also a philosophical difference between VCL and FireMonkey. 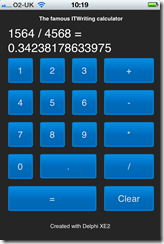 VCL is a “heavyweight” GUI framework in that it depends on native Windows controls, with the advantage that you get a truly native look and feel in your Delphi application. FireMonkey is a “lightweight” GUI framework which renders the UI entirely through custom drawing, which is great for cross-platform consistency, but poor if you want a native look and feel. Performance-wise, and despite the name, heavyweight frameworks often feel faster because native controls are optimised for the operating system. The key question then: will FireMonkey be as good for cross-platform, as the VCL has been for Windows? Based on my first experiments I am not sure at the moment, though I expect it to improve. I would be interested in views from others who have worked with it.